Are You Worthy of a Sin City Sweat Session with DLB? Fill in the form below to register for the random drawing, or so we can contact you if you&apos;re randomly selected! Entries will be accepted through August 16, 2013. One hundred entrants will be selected at random from the final registration list. Those chosen will be notified via email on or before August 19, 2013. 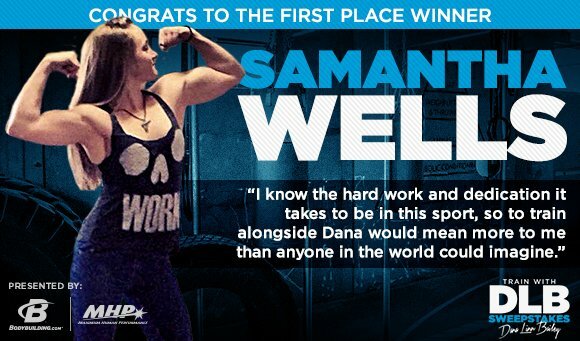 MHP will email the 100 lucky finalists and ask for 3 photos and a short email or video telling us why they are worthy of training with the ripped and ravishing Dana Lynn Bailey. 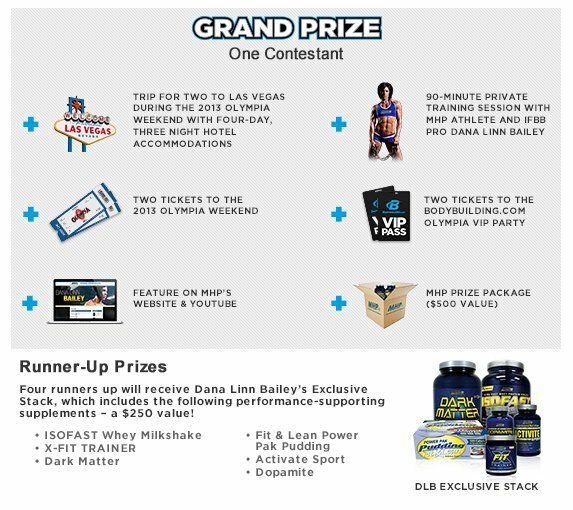 Grand prize and runner-up winners will be contacted via email and announced on Bodybuilding.com on or before September 4, 2013.